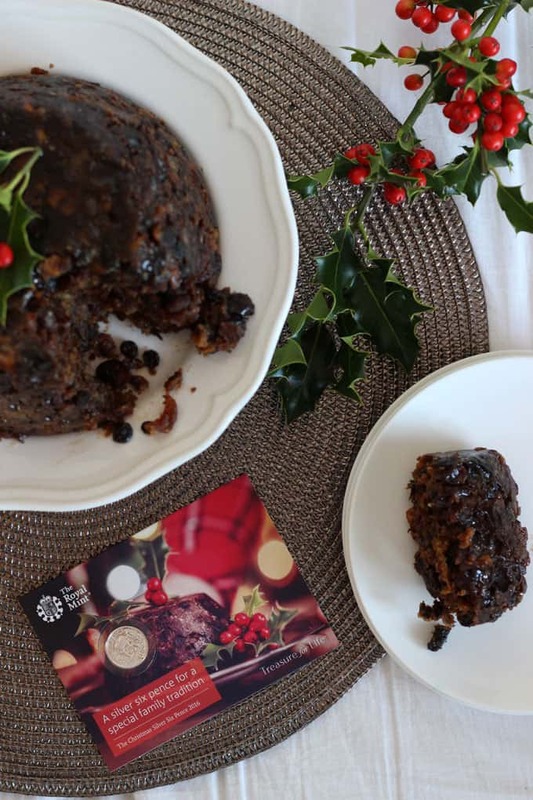 The ultimate traditional Christmas dessert, the Royal Mint Christmas Pudding recipe. 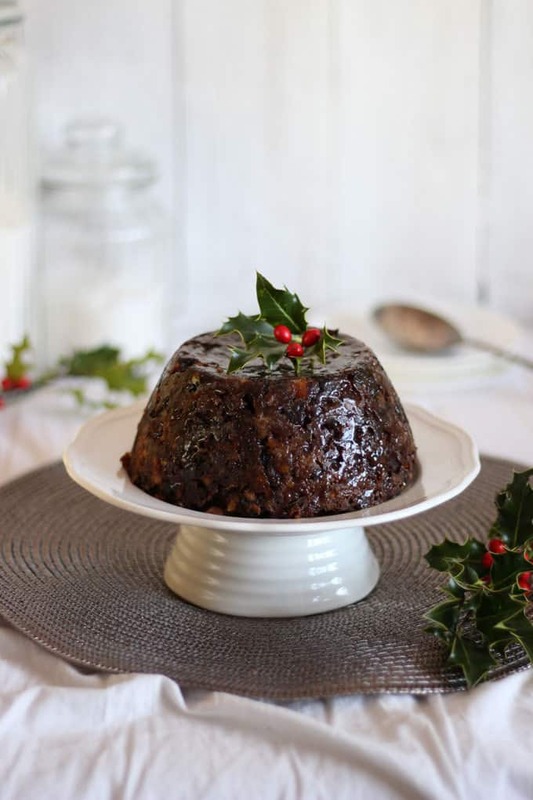 The perfect festive steamed British pudding, complete with silver six pence. The Royal Mint got in touch with me recently about Christmas traditions. 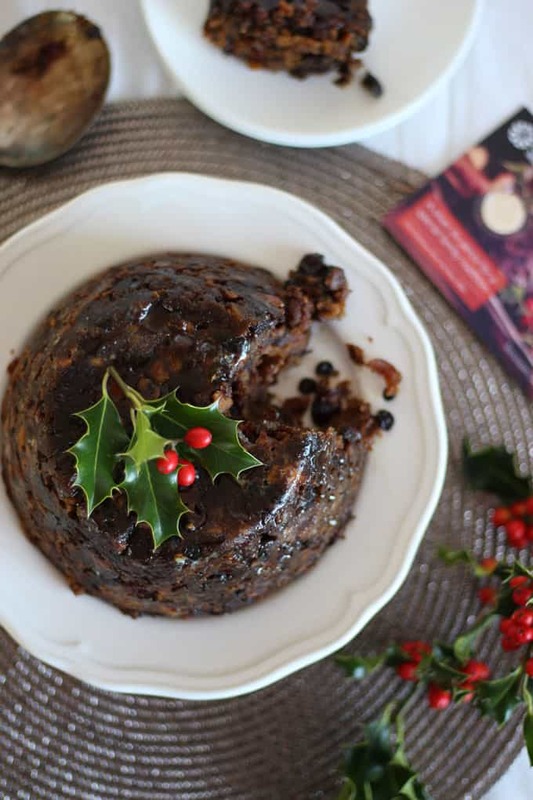 They make a silver six pence each year that can be used in the wonderful British family tradition of making the Christmas pudding together on Stir Up Sunday. 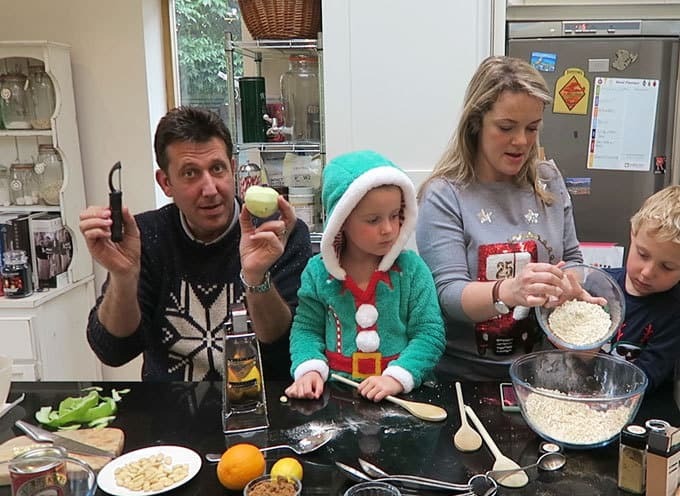 For me, a huge part of Christmas is the food traditions surrounding it. 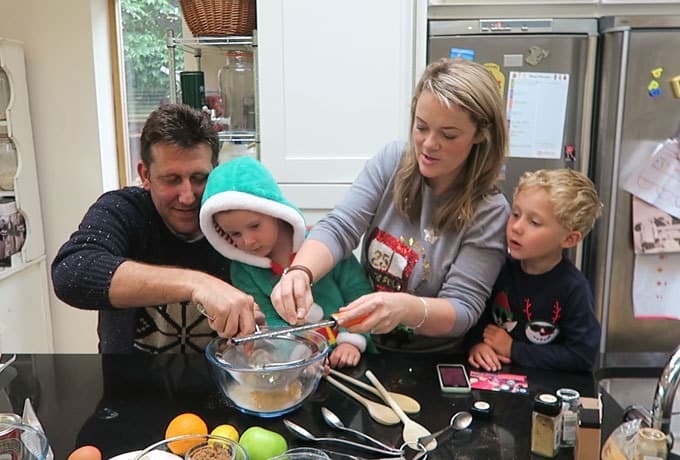 You know how much I LOVE a reason to bake, and honestly, isn’t the festive season just the best reason to bake? Christmas pudding and the tradition of Stir Up Sunday is said to have been introduced to the Victorians by Prince Albert. 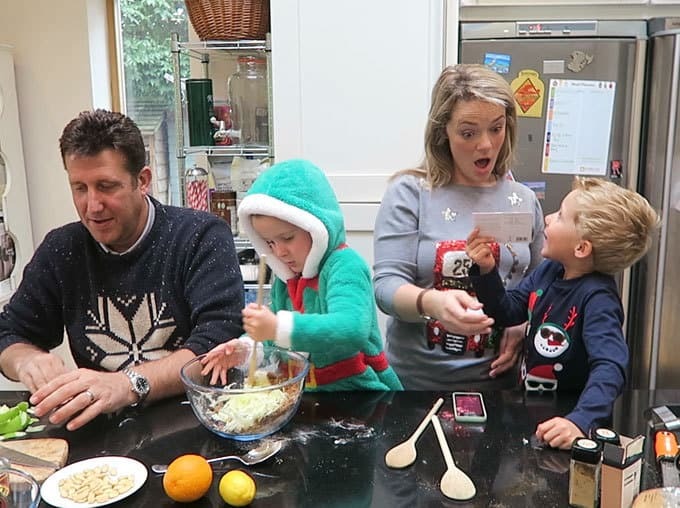 A silver six pence was added for good luck, as the whole family stirred the mixture. Whoever gets the six pence on Christmas day? Their wish comes true! The Royal Mint has minted the British coinage for over 1,000 years. That’s a lot of history there and so they certainly know how to make the perfect silver six pence for a Christmas pudding. Did you see the bit when H wishes for a dog?! If she gets that six pence on Christmas Day I’m in all kinds of doggy trouble. It was an absolute joy to get together and make our pudding. Mr B got confused about his jobs and I forget the order of things. 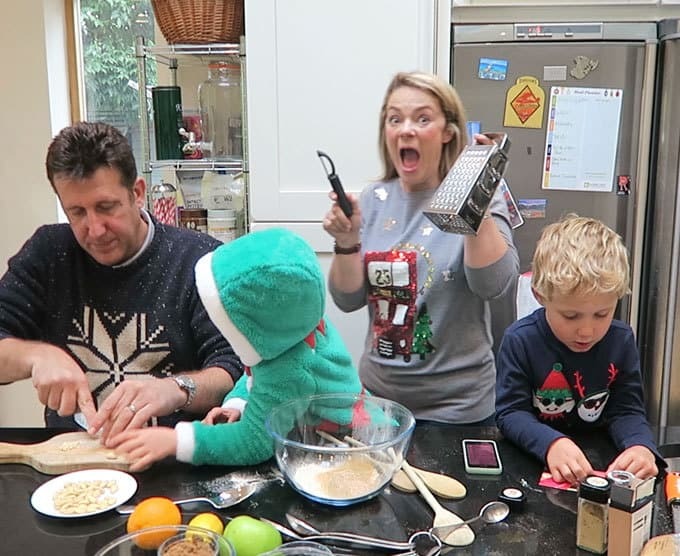 G wouldn’t let go of the six pence and H wanted to do ALL of the stirring BUT, these are the festive family moments we won’t forget. This is a lovely tradition to keep going with the family and it will certainly be in our calendar every year. If you’d like to make some special baking memories this Stir Up Sunday you can get your own Royal Mint silver six pence here: Christmas silver six pence. If you do make the pudding, please do Tweet me a photo or show me on Instagram, I’d love to see. Put the sultanas, currants and raisins in a saucepan with the water. 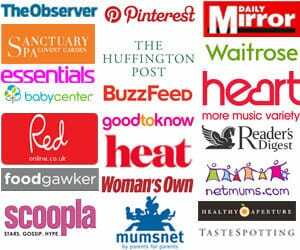 Bring to the boil, and simmer for three minutes. Leave to soak, uncovered, overnight. Add the breadcrumbs, suet or butter, grated chocolate, grated apple, brown sugar, mixed peel, almonds, lemon and orange zest. Mix well, using your hands to get rid of any lumps of butter and ensuring the mixture is fully blended together. Stir in the soaked fruit, which will have plumped-up overnight. Next, stir in the treacle, brandy and beaten egg. Mix well, and stand overnight. While this isn’t necessary, the marinating helps the spices soak in. Before you’re ready to cook, stir in the Royal Mint Six Pence. It’s traditional for everyone to give the pudding a turn with a wooden spoon at this stage, and make a wish. 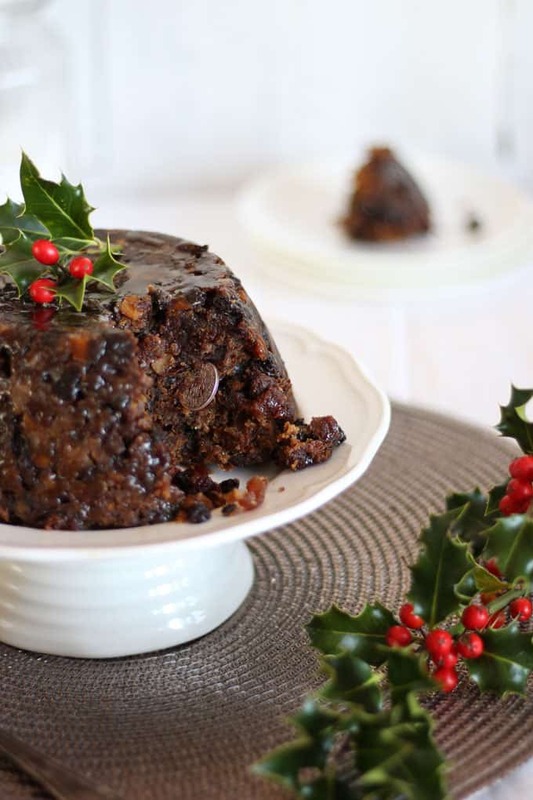 Use the knob of butter to grease the pudding bowl, and tip the Christmas pudding mixture into it. Cut one circle of greaseproof paper, which is a few inches bigger than the rim of the bowl. Use a large elastic band to secure it over the pudding bowl with a folded pleat running through the middle. This will allow room for the pudding to release excess steam. Cover the top with a piece of tin foil (same size as the greaseproof paper) and then tie it tightly with the string. Make a loop of string across the top, to fashion a handle, so the pudding can be easily lifted in and out of the pan. If you are using a steaming pot, pour some water into the bottom of the stock pot – about one eighth full – so that the steamer basket sits in the bottom, just above the water level. Bring the water to the boil, and place the Christmas pudding in the basket. If you don’t have a steamer basket, simply use the upturned saucer or ramekin so that the pudding basin is kept away from direct contact with the base of the pan. Then fill the stock pot with water to around half-way up the side of the pudding basin. Put on the lid, and steam at a gentle simmer for four hours. Keep an eye on the water to make sure that the pan doesn’t boil dry, and add more water from the kettle to keep it topped-up if needed. If the lid of the stock pot doesn’t fit on tightly, it’s not ideal, but not disastrous – as long as there’s plenty of steam circulating. Keep an even more careful eye on water levels though, as a loosely covered pot is more likely to boil dry. 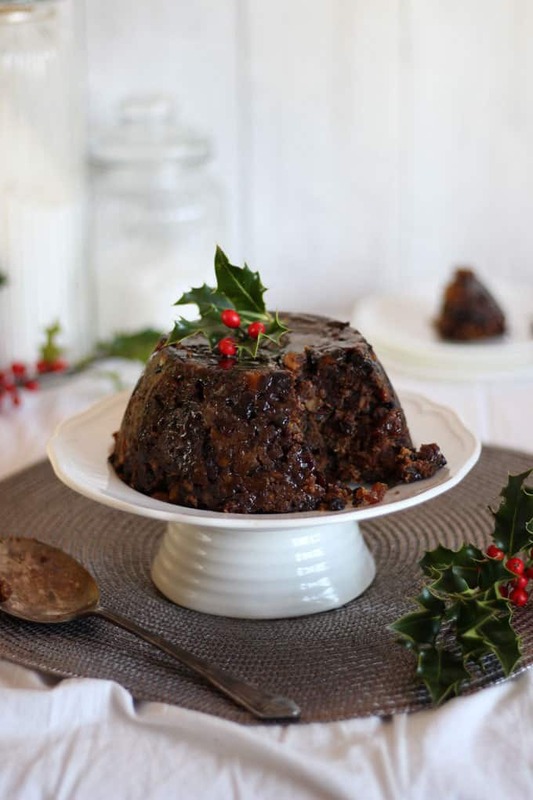 Lift the pudding out of the pan after four hours, making sure you keep the greaseproof lid on – that way you can store the Christmas pudding for up to two months. 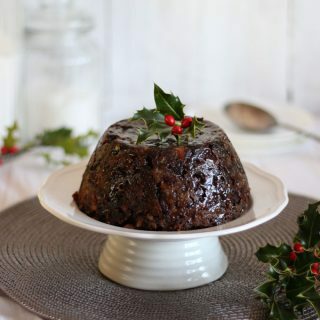 On Christmas Day, steam the pudding again for another two hours, and serve – perhaps with a sprig of holly on top, and a splash of brandy to light it. WARNING: Risk of choking, please inform guests about potential six pence in pudding when serving. Please sterilise the coin in boiling water before adding to pudding mixture or push coin into warm pudding before serving. DO NOT put pudding containing coin into a microwave oven. This looks great fun. How big was your pudding bowl? My boys just adored making Christmas Pudding together this year and having a new sixpence to put in it! Would love to try this recipe. Do you know if this could this be steamed in the Instant Pot? If so, for how long? I’m sorry Julie, I’m not sure, but please let me know if you try it! Here in America suet is fed to the birds in special wire holders attached to trees. Is there another name or description that it might be called by?